Bobby Robson was what is a known as a true football man. True football men are a rare breed. Their names and faces are etched in the memory of football’s illustrious and chaotic history, and of course, on more than a few cups. The true football men are legends in their own right; they are monumental figures in the game all of whom who have not only left their mark on football, but set a new standard for the understudies of later generations to measure themselves against — or aspire to. As a player, Robson’s 17-year professional career saw him turn out for Fulham and West Bromwich Albion before returning to Craven Cottage, tallying 141 goals along the way. Robson’s biggest impact on the game, however, was as a manager. Football management is a skilled position, and the Englishman channeled his tactical nous through a fatherly lens at each post he held as a manager. Robson approached the role with a unique blend of jovial insight and an extraordinary passion to learn and win. The greats in the game teach lessons long after they have gone. When he said, “People want success. It’s like coffee, they want instant,” it not only captured his wit and wisdom, but spoke to the larger context of the world’s game. Today’s game is typified by managers who are never more than 180 minutes away from getting sacked, youth players made to grow up far too quickly, players intoxicated by money over club loyalty, and a fervid rouse of impatience plaguing a game turned billion-pound business. 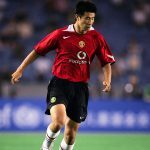 An indelible truth in football is that its legends live on through the styles, standards, and evolutionary iterations of the game in the most peculiar ways. For example, it was Bobby Robson who hired a young and eager José Mourinho as a translator at Sporting Lisbon then as assistant manager at Porto and Barcelona. Robson, in Mourinho’s own words, helped the young Portuguese man find his way into the upper echelons of football management. In truth, Bobby Robson’s journey as a football manager is still one that is draped in domestic, international, and continental excellence. In November, 1968, his early and languid spell at Fulham was cut short when he learned he was out of a job by reading ‘Robson Sacked’ in the papers before actually being let go. The real meat and potatoes of Robson’s career as a manager came at Portman Road where he managed Ipswich Town for 13 successful years. The Suffolk club made a regular habit of battling at the top of the table in the First Division. More impressively the Tractor Boys won the Texaco Cup in 1973 after beating Norwich City 4-2 on aggregate, celebrated an FA Cup final victory over Arsenal in 1978, and capped off an impressive run with Robson at the helm when they won the UEFA Cup by defeating AZ Alkmaar in 1981. The match is locked in a time capsule and relived in moments from John Motson emphasising the significance of the occasion at kick-off, to West Germany’s deflected goal, and a thousand other freeze-frame instances where the collective energy of a nation hinged upon the tenterhooks of Robson’s brave souls. The dynamism of the match became ostensibly manic as Gary Lineker equalised and then threatened to reach crescendo when Paul Gascoigne was booked and destined to miss the final should England make it. However, one of the most iconic moments came when Lineker locked eyes with Bobby Robson, pointed to his own eye and mouthed, “Keep an eye on him,” as Gazza’s lower lip quivered and emotion threatened to derail the Gateshead-born player’s performance. That simple motion seemed to restore a calm within the England side and the supporters. The real outcome, the real victory, of that night in Turin can be summed by realising that close enough was more than good enough. Separating Bobby Robson the player and coach, from Bobby Robson the man seems impossible. The man simply personified football. One of the most impressive feats Robson achieved in club management came with his foray into the continental game. Success at PSV Eindhoven (two Eredivisie titles), Porto (two league titles and one Portuguese Cup), and reaching a milestone in football management by taking control of Barcelona only added to the allure that is Bobby Robson. It is one thing to base the judgment of an individual’s career on the results they achieved in the game. It is a completely more genuine thing to base that judgment on the collective portrayals and descriptions of those who found their way in the game because of that individual. The validation occurs when the great things they achieved align with the great things people say about them. Bobby Robson fits this bill. Bobby Robson’s time at Newcastle United saw the Magpies return to European football. A homecoming of sorts for a man whose father expressed disappointment that his own son opted for Fulham over Newcastle, Robson instilled a sense of pride to Tyneside. His dismissal is still a blight on the great service he bestowed to a club he loved and that loved him back. In December 2007, Bobby Robson was awarded a Lifetime Achievement Award at the BBC’s Sports Personality of the Year show to pay tribute to “his contribution as both player and manager in a career spanning more than half a century”. His speech that night, like so many of his other speaking engagements, was filled with humility, modesty, and a blue-collar sagaciousness built upon years toiling away at his craft. Will the world ever see a class of manager and man the likes of Sir Bobby Robson again? People miss him. Winning football matches with the world’s best players is impressive. And Bobby Robson won with some of the greats, but he also built his teams from the ground up. He managed an entire spectrum of football teams, not just the trendy ones. Through hard work and a sense of duty to the game, he became one of the few men who are respected worldwide in football circles. It speaks volumes of the man when the likes of Mourinho, Sir Alex Ferguson, Pep Guardiola, Ronaldo, and countless others say Robson was one of the biggest inspirations in their careers — and in the modern game with all its personality wars and episodic rivalries, we may never see a universally loved man like Bobby Robson for quite some time. Towards the end, Bobby Robson exemplified another trait he always exuded: bravery. On the day he died, an article in The Guardian ended with a beautiful quote of Robson’s: “… I am going to die sooner rather than later. But then everyone has to go sometime and I have enjoyed every minute.” The man with the gentle smile, kind eyes, feathery hair, and insatiable appetite for the game was not only a trailblazer, but a fighter. Towards the end of his life, he fought cancer five times over a 15-year span. In footballing terms, Bobby Robson beat cancer 4-1. At St James’ Park, five days before his death, in his final public appearance, Clive Tyldesley and Terry Butcher appropriately spoke of Sir Bobby Robson as he was wheeled out to receive the UEFA Order of Merit award prior to the charity match held in his honour. “His heroes were Jackie Milburn, Len Shackleton, and Albert Stubbins. And now, Newcastle celebrates its local hero. The Godfather of this club and English football’s favourite Old Uncle. It’s a standing ovation in every corner of this stadium and so many of these players owe him so much. He’s just the most fantastic man to be around. He was never going to miss this occasion.” The truth is, however, that football misses its favourite old uncle, Sir Bobby Robson. Reviewing footage from a Newcastle United training, one image of Sir Bobby Robson stands out. A man in a snow-speckled coat and toque, breathing in the Tyneside winter, staring with eyes of ice at a simple football session. As always, he was studying, assessing, and demanding more from his players in increasingly difficult conditions. There are many images of Sir Bobby Robson that bring a smile while simultaneously threatening to cause many to leak a tear into their pint. Then there are the images of a man with a gentle heart, a warm smile, a friendly voice, and silvery hair lifting trophies. But the real lasting images are those of a man being lifted up by his team. And somehow that’s most fitting. 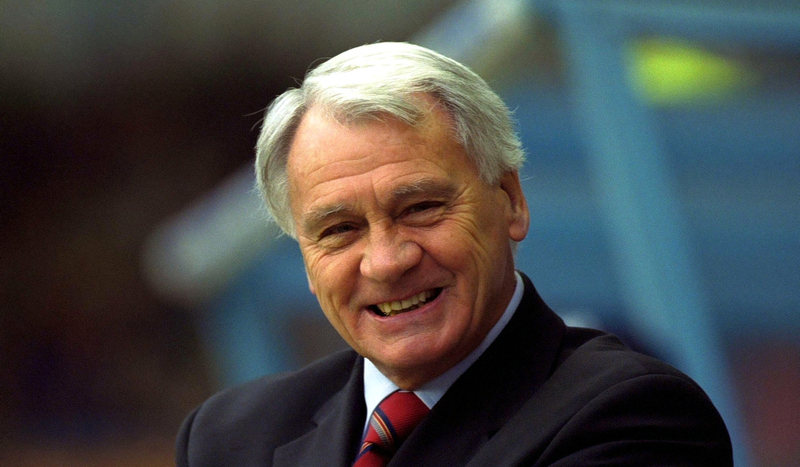 Sir Bobby Robson is one of football’s greatest trophies.